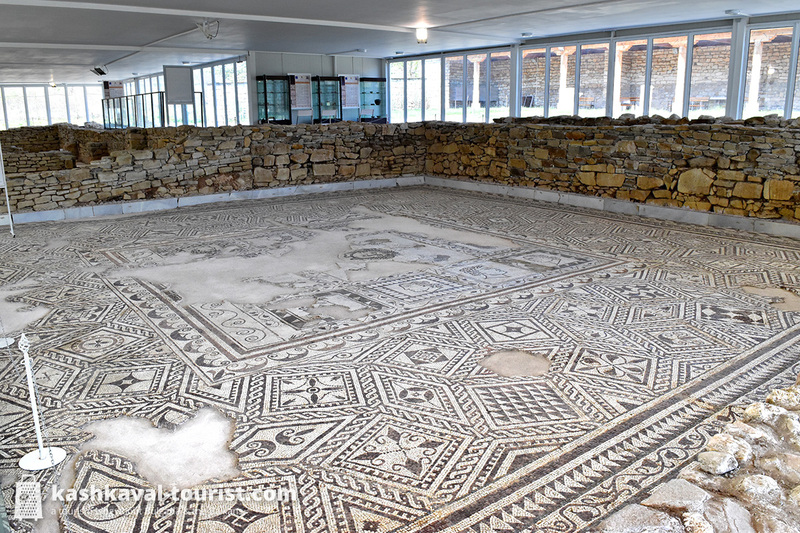 The Ancient Romans seem to have been obsessed with lavish mosaics, and this suburban villa near Ivaylovgrad is perhaps the best example of this antique trend that you can see in Bulgaria. Villa Armira is famous for its mosaic depiction of the gorgon Medusa surrounded by personifications of the Winds, though the incredible portraits of the owner and his two sons are also to be marvelled at. Villa Armira (Вила Армира) also impresses with its hypocaust system of central heating, its flamboyant pool surrounded by marble figurines and its sheer size. 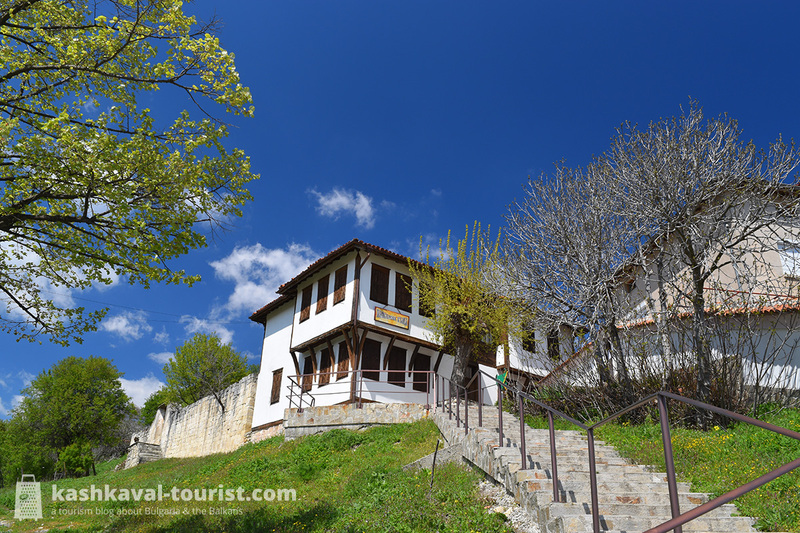 No other Roman villa in ancient Thrace can match the splendour of Villa Armira. Just don’t mind the vast number of swastikas in the geometric mosaics, the Ancient Romans were of course unaware of this symbol’s tainted modern significance! 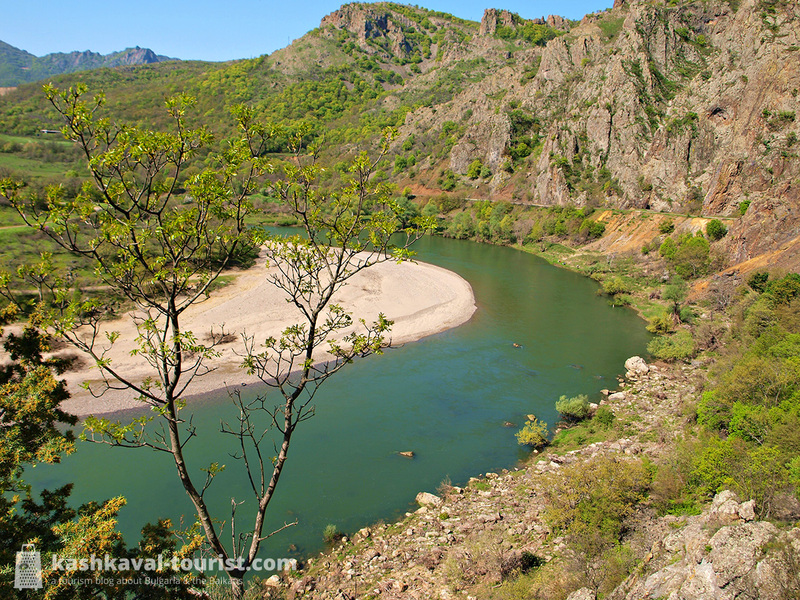 Ivaylovgrad’s secluded location deep in Bulgaria’s Southeast has blessed the town with a remarkably mild climate. In fact, the Ivaylovgrad region is one of the few places in Bulgaria where olives and palms can grow reliably, and the town’s mix of communist-style prefabricated panel buildings and thriving Mediterranean flora is quite a rare sight. Along with its panoramic location overlooking Greece, Ivaylovgrad (Ивайловград) also features a few decent examples of 19th-century urban architecture, including the Mutafchiev and Paskalev Houses. A few kilometres out of town, you’ll discover the stone arch of the 16th-century Aterenski Bridge and the medieval Lyutitsa fortress. 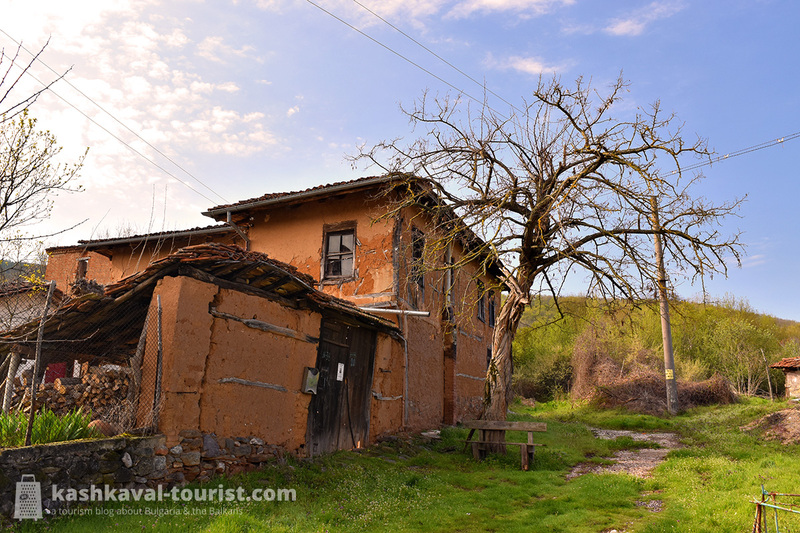 A well-preserved medieval fortress, two Thracian tombs and two nationally-famous wineries: most villages in the world would be envious of what Mezek has to offer! 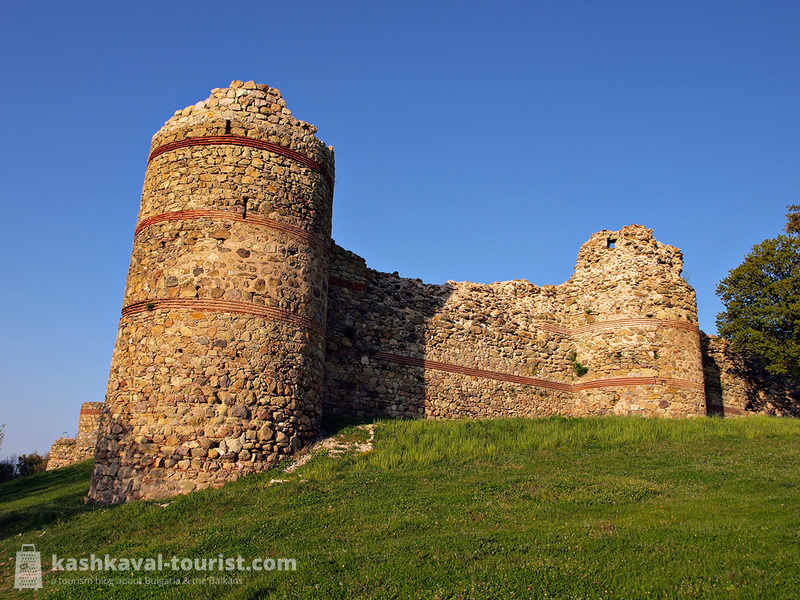 Situated where the Thracian Plain meets the Eastern Rhodopes, Mezek (Мезек) is overlooked by the Byzantine castle of Neutzikon, which is the village’s main attraction. Its formidable walls are over seven metres tall and the views down towards Thrace are memorable. After checking out the castle, be sure to enter Mezek’s ancient Thracian beehive tomb from the 4th century BC. And if you need a glass (or two!) of local wine to go with your cultural experience, the boutique winery in the village will certainly be happy to take you on a short wine tasting tour of their premises! Nowadays, it might be just a sleepy Greek town far away to the northeast of Athens and Thessaloniki. But hundreds of years ago, Didymoteicho was a major Byzantine and Ottoman outpost and this ancient heritage is still visible today. The town was even the capital of the Ottoman Empire for a few years. As a consequence, it is the site of the first mosque that the Ottomans built on European soil; sadly, its precious wooden roof was heavily damaged in a fire. The fortress that once stood above Didymoteicho (Διδυμότειχο) is the locals’ preferred place for a lazy afternoon stroll. 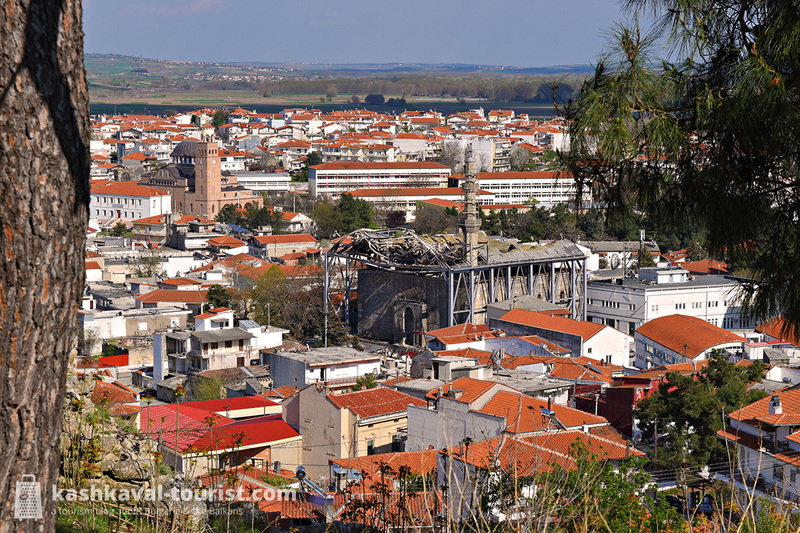 While its historic walls are only partially preserved, the vistas from the top are unforgettable, not least because you can see three countries (Greece, Turkey and Bulgaria) from the hill. 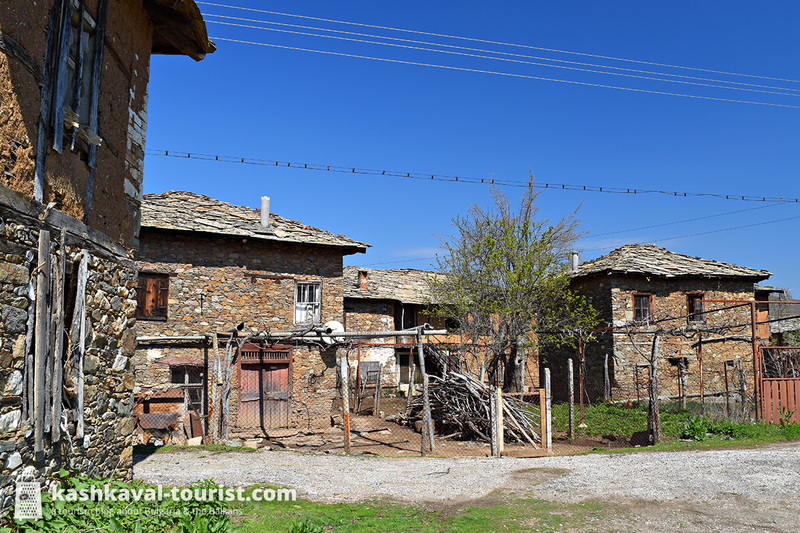 Considering it’s just 5 kilometres or so from Mandritsa, Dolno Lukovo’s architecture is remarkably different from its neighbour’s light brown adobe houses. In this village, you’re a lot more likely to see massive stone constructions. One of these, Dolno Lukovo’s 200-year-old church, was reportedly built in seven days. According to Ottoman law, it was illegal to demolish a building that already had a roof, so the locals rushed to complete it before the Muslim overlords could come to know of its religious purpose. Other than this curious church, Dolno Lukovo (Долно Луково) is also home to perhaps Bulgaria’s rarest tree. The Greek strawberry tree (Arbutus andrachne) that has been growing next to the village hall for decades is practically impossible to see elsewhere in Bulgaria. With its smooth bark, evergreen leaves and fruits that somewhat resemble strawberries, it has a rather alien appearance too. The Ivaylovgrad region is amazing, hope more and more people can discover its beauty thanks to our efforts! We will be in region for 3 days in July. Great choice! Definitely try the food at Bukor Shtepi, it’s delicious and unlike anything else I’ve tasted. They’ll have a pool in the summer too! We will stay for three nights (2 and 1/2 days) at Vulture Centre in Madzharovo. Oh, but still great, this is an incredible place with rare wildlife and stunning natural surroundings. I’ve only been there for a weekend of camping, definitely will come back. Enjoy your time! Oh, I think , we will see a lot while doing some geocaching out there.